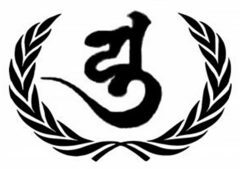 We are a global organization that has the Purpose of ethically purifying Buddhist movements, simultaneously offering righteousness in the fulfillment of Human Rights to all the oppressed peoples of the world. The precedents of our revolutionary mission is nothing less than the Ethics Committee created by the Master Siddhartha Gautama in order to resolve conflicts and bad behavior in the Buddhist community. But we have also been inspired by the courageous actions of the International War Crimes Tribunal created by the great philosophers Bertrand Russell and Jean Paul Sartre. In this way, our International Buddhist Ethics Committee and Buddhist Tribunal of Human Rights retains the best projects of community and global justice that have existed in the history of mankind.